So you’ve got your new puppy and it’s a bundle of love and joy; now to care for them properly. Everything you wanted in a dog is sitting right in front of you waiting to be praised for sitting without prompting, and therefore you owe it to them to keep them as healthy as you can for as long as possible. Dogs are like toddlers in that they never truly grow out of a puppy mindset, and will be relying on your for the rest of their lives. So what can you do for them that will keep them safe and happy? Natural foods are the best sustenance a dog can have. Dried kibble and canned wet foods can contain all sorts of materials, however, and so knowing what exactly is going into your dog’s food bowl is the number one point in the dog keeper’s handbook. Dogs can be fussy eaters as well, so you might go through a few different kinds of specially made pet food or just standard meats before you find something they settle down with. 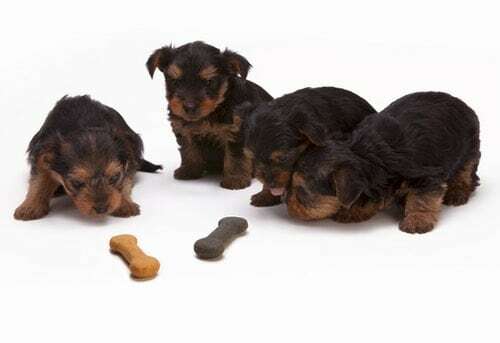 Once this happens, use this food consistently and watch for results in their behavior and appearance; these are the best indicators they’re getting everything they need from the food bowl. Click through for more information on using organic treats, and the types of meat that should be going into your pooch’s food bowl. Dogs need to be brushed from time to time to keep a coat healthy and shiny, the way it should be. Imagine how you would feel going weeks on end without washing or even brushing your locks! If your puppy is of the short-haired variety, a monthly grooming is all they need to keep on top of hygiene requirements. Try to make sure this includes claw trimming as well as bathing and toweling. If your dog has longer hair, and you’ll definitely know they do when you find it all over the house in the warmer seasons, try to keep trims and washes on a weekly basis. 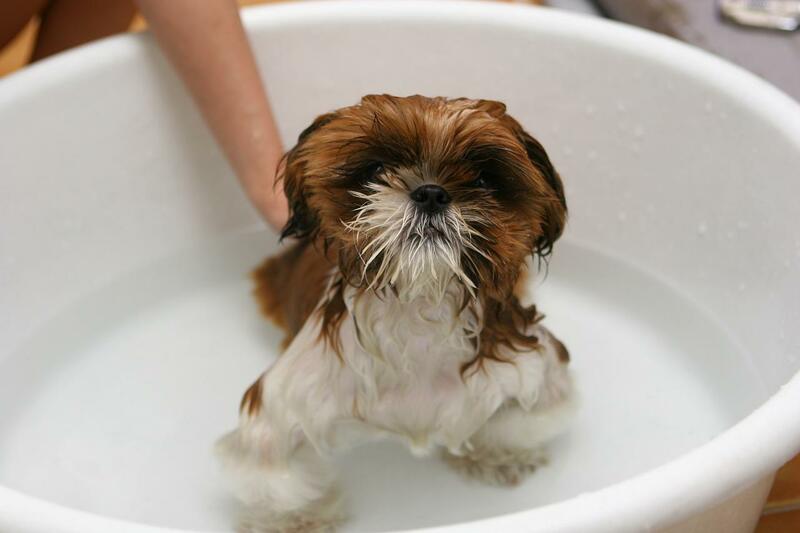 It can be a lot of effort to get a dog in and out of a bath, but reward them for good behavior like staying still and allowing you to lather soap on them. This sounds like a bit of a weird option, but bad doggy breath can be a killer for your nose. Don’t allow tartar or plaque to build up on your canine’s canines, as this can lead to a lot of teeth and gum problems. When a dog’s head is mostly a mouth, that’s going to be extremely detrimental to their health. Let them chow down on dental sticks or bones to promote healthier mouth movements. Taking care of a puppy is going to take a lot out of you, but you can very much take this into your stride. Doggy care gets easier as they get older, so you’ll soon be a pro at it!